Last week, my 7 year old daughter and I ventured to the Merry Go Round Playhouse in Auburn, NY to see Mary Poppins the Musical. 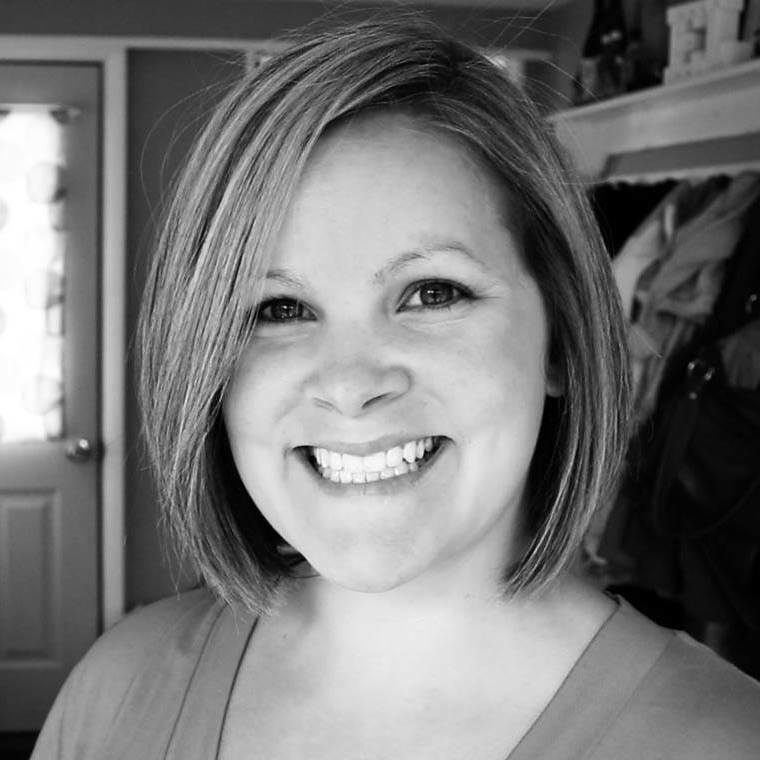 The show, along with several others, is part of the Finger Lakes Musical Theater Festival. I had heard about the Musical Theater Festival, but didn’t pay much attention to it (why?). I’m not sure what I was thinking. They dub the MTF as Broadway in the Finger Lakes and they aren’t kidding. Mary Poppins was fabulous. It was exactly like watching my favorite childhood movie come to life on stage, but better (way better than the movie–I should know, I watched it 100+ as a kid). The actors are professional, and it shows. The whole thing was flawless. The two children in the show were excellent. Mary Poppins herself was perfect (I mean really, that was expected). I was so impressed! I even got a little stalkerish and followed all the actors from the show I could find on Twitter and Instagram. Want to do the same? Comment below or contact me on Twitter or Instagram and I’ll hook you up. 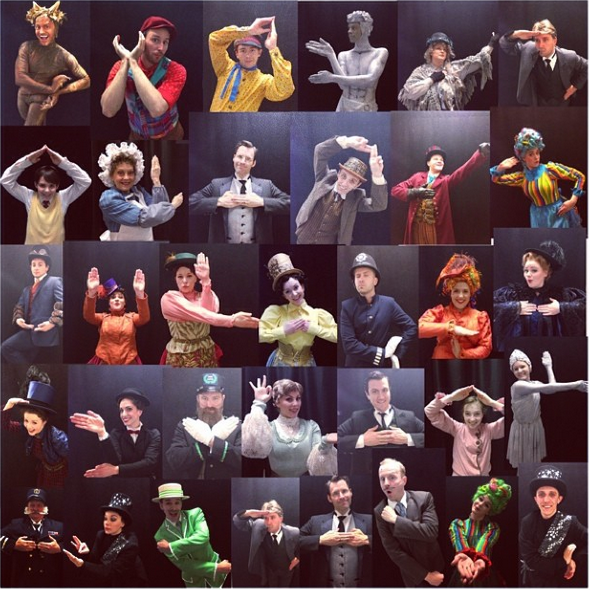 Here’s a photo via @dancinchaz of all the letters in the supercalifragilisticexpialidocious dance scene… I love this. Cool, right? It will take my the rest of my life, but I will figure the letters and dance moves out some day (see what I mean on YouTube, but know is 1000000000 times better live). 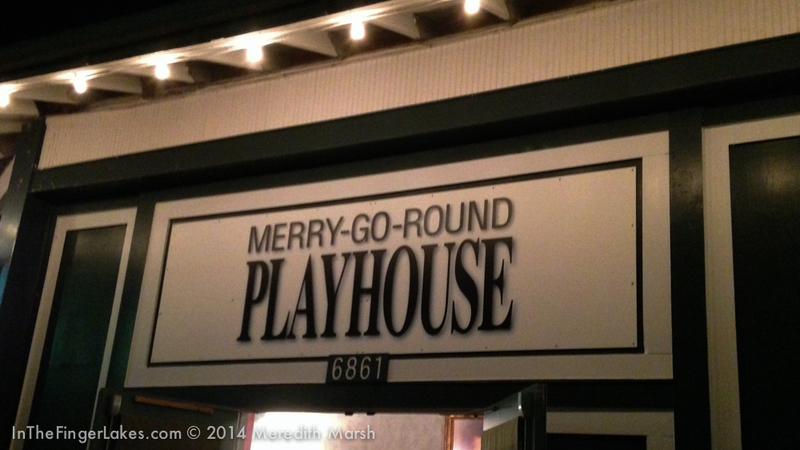 The Merry Go Round Theater is interesting. It’s located in Emerson Park on the North End of Owasco Lake in Auburn (6877 East Lake Road). Google Maps led us to downtown Auburn (because that’s where the theaters offices are?). And there is a theater downtown which adds to the confusion (especially with signs that say “Theater Parking”). 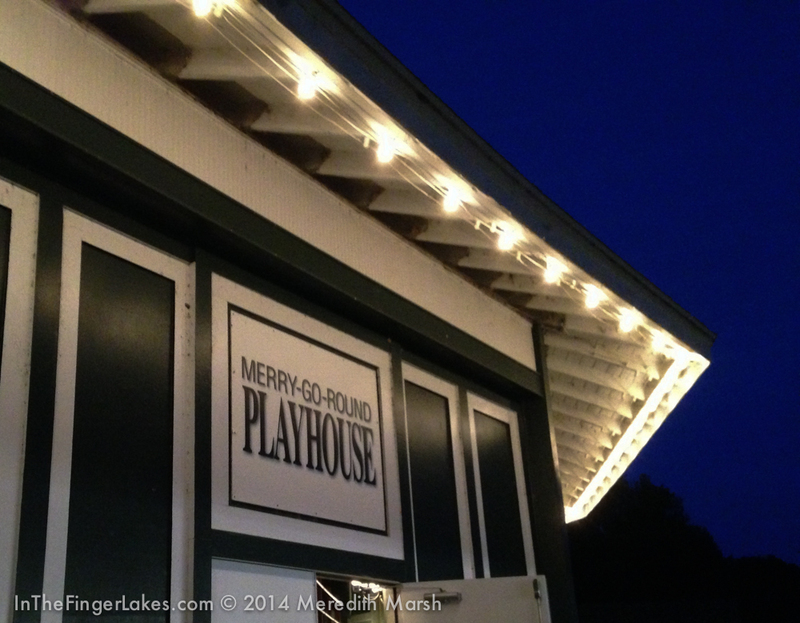 The Merry Go Round Theater is located inside Emerson Park on Owasco Lake. If you’re no where near the lake… you’re in the wrong spot. Even if you’re in a parking lot labeled “theater parking” (By the way, it’s totally my fault for not paying complete attention to the address the GPS was leading me… my own blog post had the real address listed so I should have caught that). If you were there last Friday night and spotted 2 people coming in 10 minutes late, that was me. Sorry about that. Sadly, Mary Poppins doesn’t run all summer–its over July 2nd. So if you haven’t seen it yet, you’re running out of time. But the good news is I am giving away 2 tickets to a show of your choice at the 2014 Finger Lakes Musical Theater Festival! My tickets to Mary Poppins as well as the tickets for the giveaway were provided by the Finger Lakes Musical Theatre Festival in exchange for promotion on this website. I saw Mary Poppins, it was wonderful! !